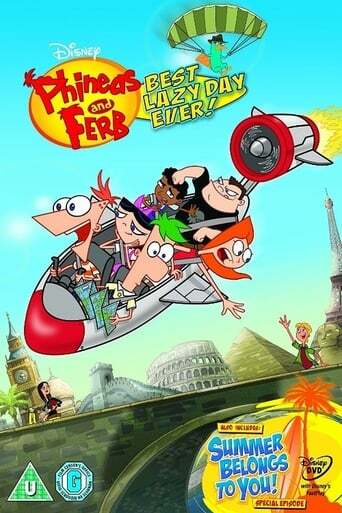 Phineas & Ferb take fin to new Heights in Best Lazy Day Ever. Candace freaks out when her brothers decide to spend a blissful un-bustable day doing absolutely nothing! And Perry gets a surprising “un-makeover” when Doofenshmirtz invents an “Uglyinator”. Whether they’re chasing the sun on a mad dash around the world or soaking up the sun doing nothing at all, Phineas and Ferb are always charting a course for adventure!